How important are vintage ratings? From 2004 to 2012, the Rioja Regulatory Council rated four vintages ‘excellent’ and five ‘very good’. When 2013 was judged ‘good’, people here were surprised, because throughout the year conditions were so bad in the vineyards that we were expecting a much lower rating. 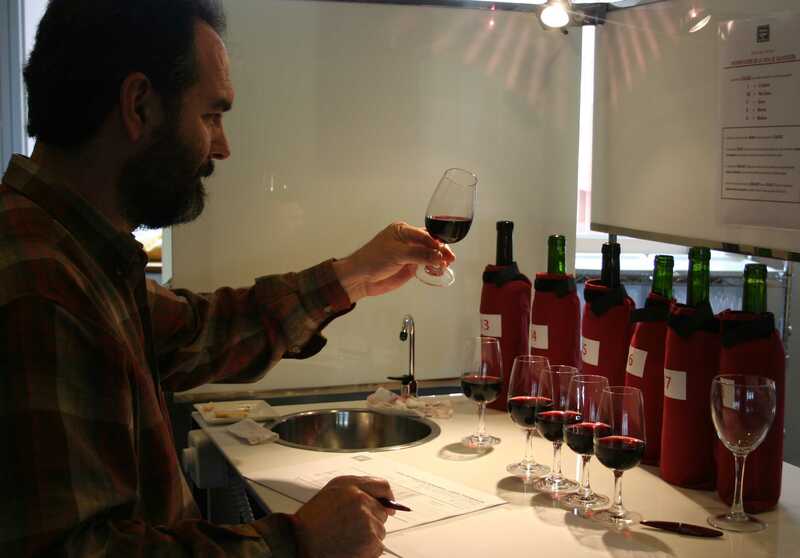 The Rioja Regulatory Council carries out an extremely rigorous tasting program of samples of wines from each new vintage. 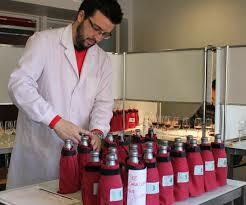 Winemakers from Rioja wineries are given anonymous samples to taste and grade. Some don’t make it – over 8 million liters in 2013. Once the samples have been tasted and accepted, their scores are plugged into a mathematical formula whose results determine whether the vintage is rated ‘excellent’, ‘very good’, ‘good’, ‘standard’ and ‘average’. The fact that the formula assigned ‘good’ to the 2013 vintage is undoubtedly a tribute to the skill of Rioja winemakers. Since every vintage rating is the average rating of the sum of the individual wines, I feel that the current nomenclature leaves a lot to be desired, especially when the lowest two ratings are ‘standard’ and ‘average’. In the past, the terms were excelente (excellent), muy buena (very good), buena (good), regular (so-so) y deficiente (deficient). It makes more sense to use the downward sliding scale of the past, but the Regulatory Council explains that the tasting panels reject the substandard wines that are therefore not eligible to be called Rioja so it makes no sense to declare a so-so or a deficient vintage. Like many other aspects of the wine business, Bordeaux started the tradition of assigning ratings to vintages over a hundred years ago and was duly mimicked by other regions in France as well as wine producing regions throughout Europe, among them Rioja. And, in keeping with its iconoclastic style, rating vintages has been mainly ignored by the New World. To return to the question posed in the title of this article, in my opinion, vintage ratings are overrated. As a matter of fact, they can be downright misleading. I remember offering 1979 Rioja (‘normal’ i.e. not so good) to my European distributors in 1983 that bought it enthusiastically because it was a very good vintage in Bordeaux. We didn’t receive a single complaint about the wines from this vintage. However when we tried to sell 1980 (good), the same distributors asked for more 1979 because Bordeaux 1980 was so-so. Fortunately comparisons with Bordeaux are a thing of the past. Wineries in Rioja treat vintage ratings like Parker scores. If they’re over 90, they advertise them. If not, they say nothing and nobody cares. And, because vintage ratings are by definition the average ratings of the individual wines, individual wineries can say that even though the vintage was only average, THEIR wine was excellent. Witness the recent press conference given by Alvaro Palacios in the UK who announced a ‘game changing’ 100% garnacha Rioja from 2013 from his family’s vineyard in Rioja Baja. An agronomist engineer/winemaker has suggested a dual system of classification in our local newspaper: a rating of the harvest shortly following its conclusion which would include young wines, and a rating of the vintage, which would include the wines eligible for ‘crianza’ status after twelve months in oak. This would allow markets to understand the ageworthiness of very good and excellent vintages, the ones that would produce ‘reservas’ and ‘gran reservas’. It’s an interesting idea that in my opinion merits debate in the Regulatory Council. Although most of the 2013 will be sold as young wine and crianza, Rioja can boast a run of very good and excellent vintages – crianzas, reservas and gran reservas from 2004 through 2011 that are currently in markets worldwide. Believe me, 2013 will not be a problem.